Buffet at Ekta Indian Cuisine. Philadelphia has no shortage of great Indian restaurants and buffets, from Indeblue and Mood Cafe to Veda, New Delhi and Sitar India. A new ranking of the best Indian restaurants in the United States reserves special praise for one Philly spot, which landed among the top 25 in the country. The Daily Meal gives a nod to Ekta Indian Cuisine, which has locations in Fishtown, University City and Bryn Mawr. Ekta is one of two offshoots from Tiffin, the Indian concept launched by Munish Narula. Former employee Raju Bhattarai launched Ekta as a rival to his former workplace, promising a more authentic Indian dining experience. Indeblue was also launched by a former Tiffin employee. As The Daily Meal notes, there's been bad blood between Narula and Bhattarai ever since their split. Things got so bad police once were called in to settle a disturbance that was documented by the Inquirer's Michael Klein, though the online version of the article has since been taken down. Regardless, The Daily Meal believes Ekta came out on top where it mattered most. On the culinary level ... Ekta seems to have won out thanks to Bhattarai’s own blend of garam masala used in much of their dishes. Try the Ekta naan, stuffed with black sesame seed, dry fruit, and nuts, with kid-friendly saag paneer (paneer cheese cooked with spinach, light cream, tomato sauce, and onion) or lamb vindaloo. 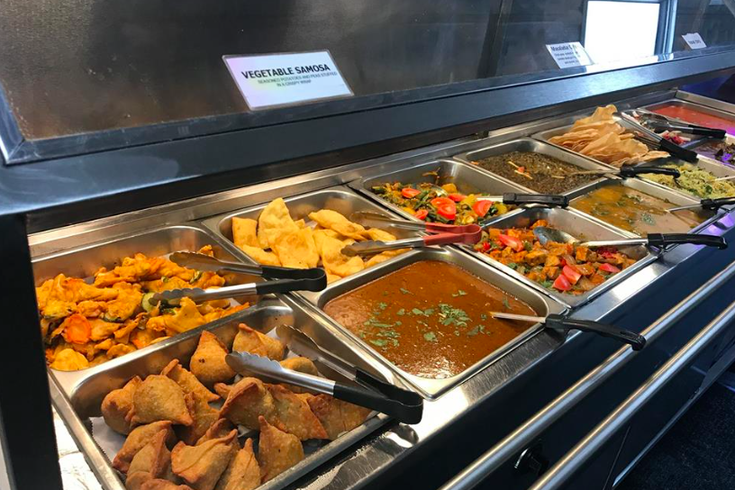 The Daily Meal's list also gave nods to three New Jersey restaurants: Dimple’s BombayTalk (Iselin), Dosa Grill (North Brunswick) and Shalimar (Iselin). Ekta offers delivery, take-out and dine-in as well catering for all occasions. Check out the full menu here.